Known for her poignant and hard-hitting style of journalism, Sharon Turner is a writer, and inadvertent social activist. 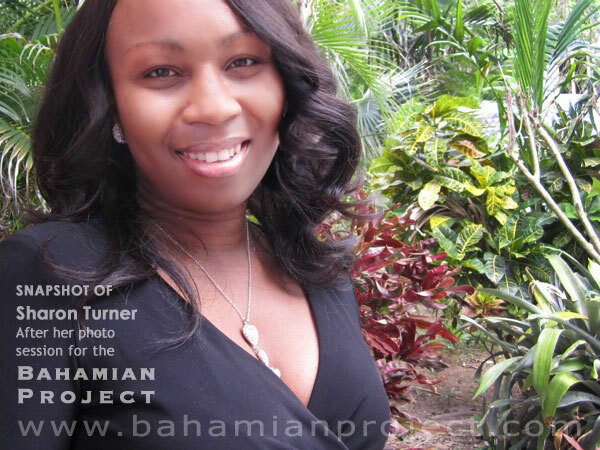 She is determined to do her part in correcting some of the social issues that continue to negatively affect the Bahamas. Her part, as she sees it, is to bring awareness to the issues and to shed light on the facts that are often intentionally buried. When Sharon started writing she had no idea that she would be standing on this societal soapbox. Her path to this soapbox has been long and winding. She actually started out studying chemistry, then studied psychology and classical voice. “I’m a classically trained singer,” she said. About six years later, Hubert Ingraham, then in opposition and preparing his re-election strategy, asked her to manage the public relations end of his campaign, “and so that’s how I got into politics,” said Sharon. Her motto is “Unbought, Unbossed and Unequivocally Unafraid”. Funny enough, when meeting her, you get the sense that she really isn’t all that confrontational. She is humble, modest, polite and reserved. But she has a powerful belief in what is right and wrong and she is willing to stand up for it. In her arsenal she has intelligence and confidence. She also has a firm grasp on the truth and the ability to articulate her opinions in a way that not only relays the strength of her message, but also strikes a chord within the reader. Things are happening and some one has to speak up. As she states on her website – if not now, then when? Thank you to The Bahamian Project for the honour, and I applaud you for choosing to go "outside the box" and select Bahamians from the phone card vendor to the governor general – making the point that we all have something to offer – no matter our station in life may be. All the best in your future endeavours! Congrats Sharon, it starts with one voice. keep up the good work.